My new book, 105 Hikes In and Around Southwestern British Columbia, which includes trails in northern Washington, has a publication date of May 26. Before 105 Hikes hits bookstores everywhere, you have (at least) three chances to win a free copy. Greystone Books and I are giving away print copies on Facebook, Instagram, and Twitter. You can enter on all three platforms (one entry per person per platform). Just find the contest posts on my social media accounts and follow the instructions. The deadline for entries is May 18, 2018, at 1:05 p.m. (Pacific Daylight Time). We’ll announce a random winner on each platform soon after. Update: The contest is now closed. Congratulations to all of the winners, and thanks for entering. BOOK GIVEAWAY 📚 Win an advance copy of #105Hikes! 2. RT this post + Tell us a hike you're excited about doing this summer. Deadline: May 18 at 1:05 pm PDT. Winners will receive one paperback copy of 105 Hikes by snail mail (Canadian and U.S. addresses only), courtesy of Greystone Books. Good luck! 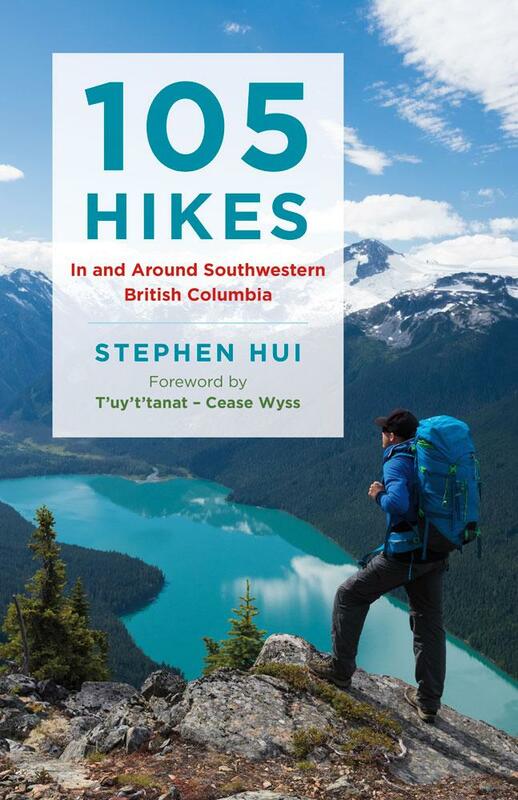 On June 2, Mountain Equipment Co-operative (MEC) will host a 105 Hikes book signing at its Vancouver store (130 West Broadway), in the territories of the Musqueam, Squamish, and Tsleil-Waututh First Nations. You should come!